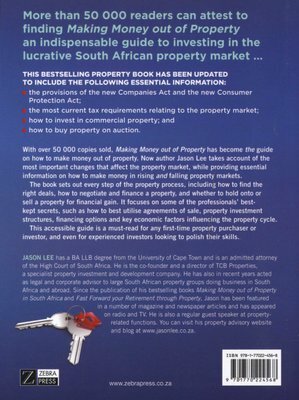 The bestselling property book that includes the following essential information: the provisions of the new Companies Act and the new Consumer Protection Act; the most current tax requirements relating to the property market; how to invest in commercial property; how to buy property on auction. 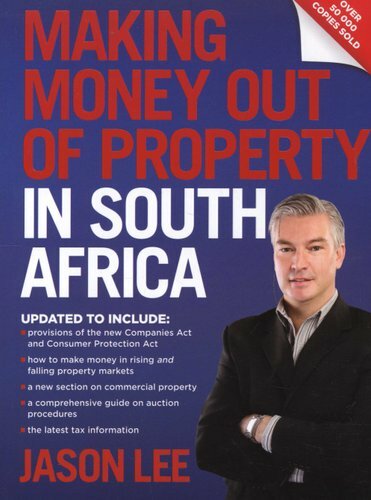 With over 50 000 copies sold, Making Money out of Property in South Africa has become the guide on how to make money out of property. Now author Jason Lee takes account of the most important changes that affect the property market, while providing essential information on how to make money in rising and falling property markets. 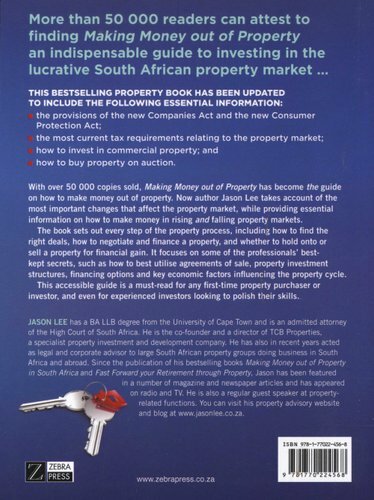 The book sets out every step of the property process, including how to find the right deals, how to negotiate and finance a property, and whether to hold onto or sell a property for financial gain. It focuses on some of the professionals’ best-kept secrets, such as how to best utilise agreements of sale, property investment structures, financing options and key economic factors influencing the property cycle. As thousands of readers can attest, this accessible guide is a must-read for any first-time property purchaser or investor, and even for experienced investors looking to polish their skills.